Cut the top and bottom of the orange so that it can stand freely. With a sharp knife cut off the skin, including the white, leaving only the orange pulp. 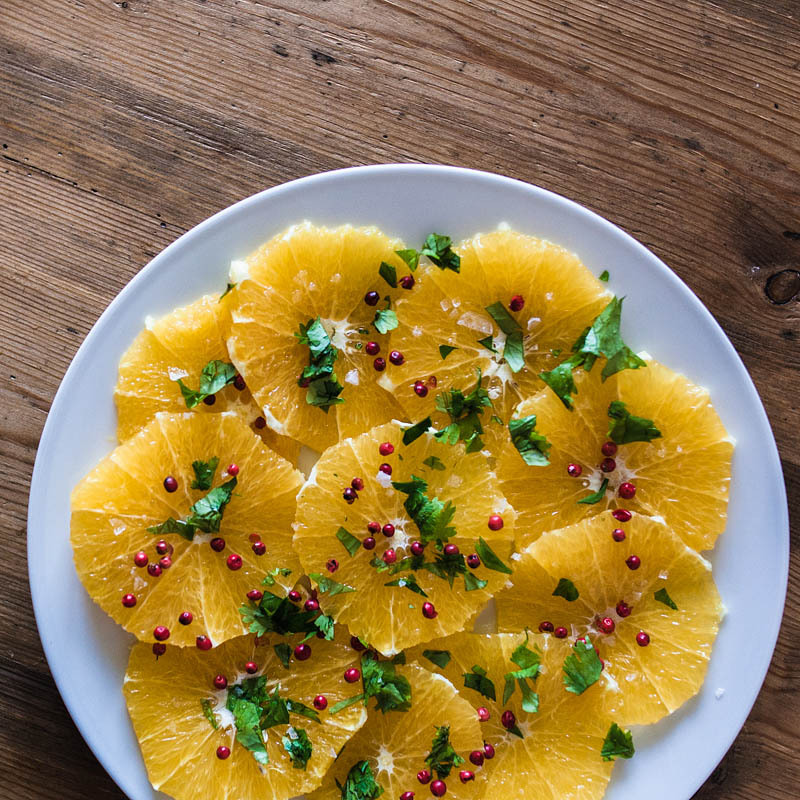 Cut the peeled orange into thin slices and lay them on a plate. Garnish with olive oil, fleur de sel and the red / rose pepper. Lastly mince the coriander and spread it on top.